At MOVEHUT we aim to match you up with the industrial unit for rent in Colchester that's right for you. We are confident in our functionality, which will make your search in Colchester easier. Start searching for industrial units to rent in Colchester with MOVEHUT, and we'll provide you with the results you're hoping for. 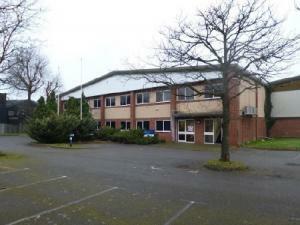 Finding industrial units to rent in Colchester is also about the location. Locating to an area that gives both your staff and customers access to your business in Colchester should be carefully considered when renting a unit. With some help from MOVEHUT, your industrial unit search in Colchester can be as easy as breathing. If you take the time to consider a few details beforehand, it can help your search for an industrial unit to rent in Colchester to go smoothly. Being realistic about your budget is very important, and another point to consider is the proximity to local transport links. Why not get started with MOVEHUT today, and find an industrial property in Colchester that is excellent for you. There are a number of uses when renting an industrial property in Colchester. You may be searching for an industrial property for workshop purposes. Additionally, you may require an industrial property in Colchester for a vehicle repair shop. Whatever type of industrial property in Colchester you're looking to rent, MOVEHUT can help. If you're searching for an industrial property to let in Colchester for manufacturing purposes, you will need to consider if it's suitable for light or heavy industry. The assembly of electronic goods and component manufacture would be classed as light industry, for example. In contrast, the production of chemicals and textiles would be considered heavy industry. We don't mind if you're browsing for a light or heavy industrial property to rent in Colchester, we list them all so start searching now. If you do find your ideal industrial unit in Colchester, you'll probably want to place an offer quickly. It is advisable to submit your interest to the landlord of the industrial property in Colchester or agent as soon as possible, in order to get the negotiations under way and avoid disappointment. 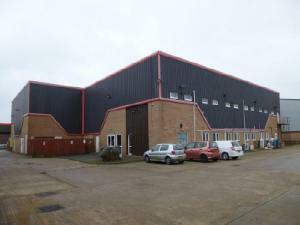 Here at MOVEHUT, we aim to match you up with the ideal industrial property for rent in Colchester and we are always pleased to see a deal getting done. Finding industrial properties for rent is easy, but you always have to consider what your exact budget is. You'll find a great selection of industrial units in Colchester with MOVEHUT, from low cost start up properties to those in prime locations with rent to match. Get started with your industrial unit search in Colchester, whatever your property budget, MOVEHUT can help. All commercial properties have their own classification code, which denotes what the property can be used for. If you're hoping to rent an industrial property in Colchester, choosing a unit with the correct class will save time for you. When you're totally happy that you know the right usage code for your industrial unit in Colchester, let MOVEHUT match you up with the perfect property. If you decide to book a viewing for an industrial property in Colchester, then you will need to remember a few things. One key element is that your property in Colchester is situated in the right area. Ensuring the air conditioning units in the property are in a working condition can save you a lot of hassle if you choose to rent the industrial unit in Colchester you're viewing. Why not let MOVEHUT help you find the ideal industrial unit in Colchester to rent, using our handy tips to ensure the property really is perfect for you.